A critical part of running a successful business is managing customers. If customers are served properly and they leave your business premises happy and satisfied, your business can grow and continue to succeed. However, if customers leave upset, it can really hurt your business and bottom-line. You probably already know this and have set up policies to ensure the highest standards of customer service in your business. But some customers can be difficult to handle. Some customers will be rude to you or your employees. Others will argue and demand they are served a certain way. Some may even be downright disrespectful and abusive. Whatever the case may be, you need to stay calm and handle difficult customers in a professional manner that protects your business and brand image. So, how do you manage difficult customers and protect your business reputation? According to online financing company for small businesses, Fundera, you can prepare for and navigate any situation coming your business’s way with the proper strategies and tactics. “Identifying which customer type you’re dealing with is the first step to successfully handling the incident, writes Meredith Wood, Editor-in-Chief at Fundera, in a post on the official company blog. 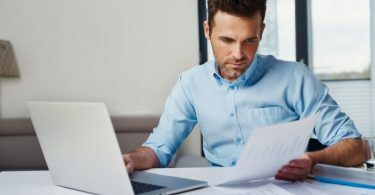 The New York-based online lending company lists some common types of difficult customers a small business owner may encounter and offers handy tips to handle them successfully. This type of customer can’t seem to make a decision no matter how many questions they ask. The thing to do here is acknowledge the indecision. Avoid being pushy, says Fundera. Instead, help the customer make a decision by offering facts and possible best solutions for their needs. Critical customers can be a huge challenge. They seem to know it all and are very critical of your suggestions. Be patient and attentive, advises Fundera. Don’t take anything personally. Use clarifying statements, weaving in new information and ideas about the product of which they are being critical. Now, this type of customer is angry and feels their needs should be prioritized above all others. Stay calm and don’t argue with them. Avoid responding to their outbursts or arguments in an agitated or emotional manner. Instead, show you understand. Then look for alternatives and offer other solutions. 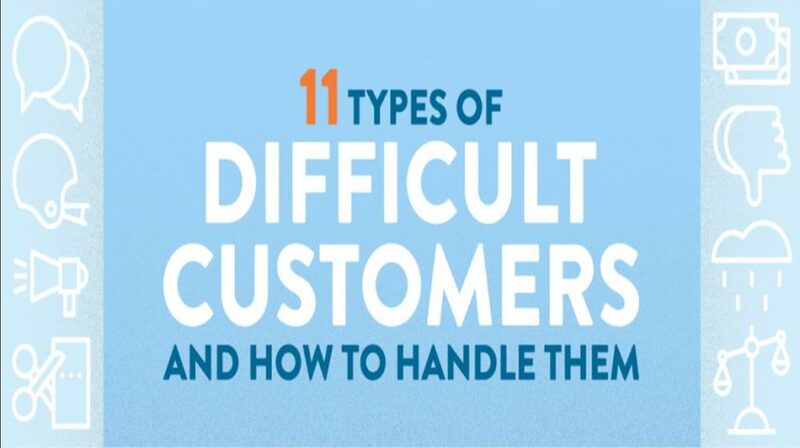 Check out more tips to manage other types of difficult customers and deliver superior customer service each time in the insightful infographic created by Fundera and shared below. Remember, getting your customer service right the first time can give you an edge over competitors and drive more profits to your business.